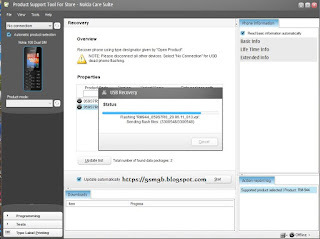 This is a full and final version of Nokia care suite having the support of more then 144 Lumia, MTK, Windows and BB5 models.PST ( Product Support Tool For store) is a free tool form Nokia to repair, update and reinstall software of Nokia phones.This tool is officially designed for Nokia MTK based phones which did not support more the all the flashing tools only china flashing tools have support but they did not flash will if they flash phone did not work well so it is easy and also free tool form Nokia so download it and enjoy. We share in this post the latest version of Nokia care suite PST.5.6.134.1513 which is the final version of Nokia Care Suite. RX-114,RM-601,RM-609,RM-626,RM-670-RM-675,RM-679,RM-691,RM-692-RM-692,RM-693,RM-694,RM-702,RM-704,RM-718,RM-730,RM-749,RM-750,RM-754,RM-771,RM-763,RM-799,RM-824, RM-825, RM-826, RM-845,RM-840, RM-841,RM-900, RM-902, RM-910,RM-944,RM-948, RM-949, RM-950, RM-952, RM-953, RM-954, RM-956, RM-957, RM-983, RM-984, RM-985,RM-1110,RM-1011, RM-1013, RM-1014, RM-1015, RM-1016, RM-1017, RM-1018, RM-1019, RM-1020, RM-1049, RM-1061, RM-1087. More models you can find on product support toll. Most Amazing part of this flashing tool is that if you did not have the full package of flash files then you can easily download on NDS (Nokia Download Server) on just one click latest version of your device.